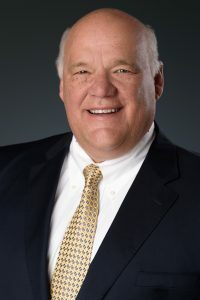 Tom Messmer is primarily responsible for developing and managing capital improvement projects, due diligence related to purchases of new properties and property management. For the past five years, Mr. Messmer managed Downey Studios for IRG, one of the physically largest production studios in the world. Mr. Messmer joined IRG in 2003 after 24 years with Corning Incorporated where he was Director of Manufacturing and Engineering, Photonic Technologies Division. Previously, Mr. Messmer held several manufacturing and engineering positions Corning Incorporated, including Manager of International Engineering for Consumer Products and Manufacturing Manager for Steuben Glass. Mr. Messmer received a Bachelor of Science degree in Industrial Engineering from SUNY Buffalo and an MBA from Syracuse University. Mr. Messmer has completed graduate course work at the School of Industrial and Labor Relations at Cornell University. He resides in Orange County, California with his wife, and has children attending Carthage College and Chapman University.